The De’Longhi descaler is a quality product suitable for all coffee machines. 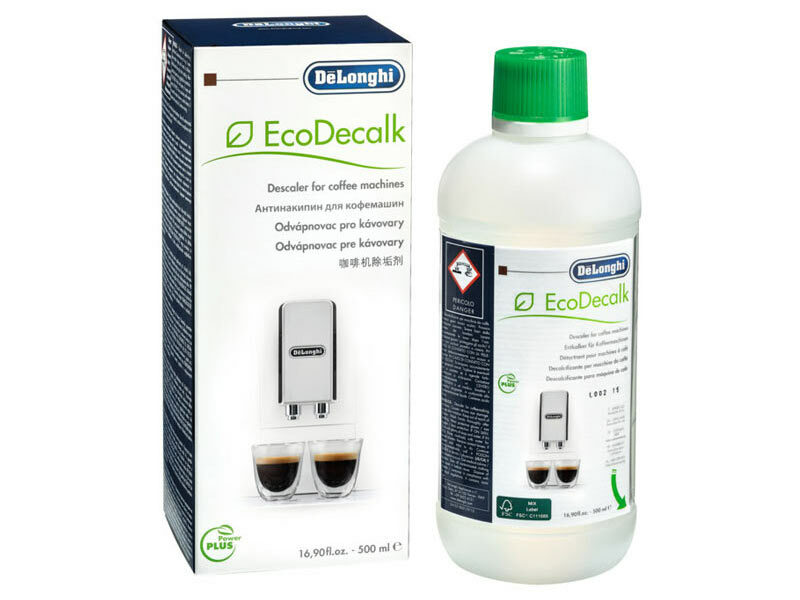 High quality materials of vegetal origin make EcoDecalk a natural and efficient limescale remover. - Maintains the coffee taste over time and extends machine life. - The 500 ml pack is sufficient for 5 descalings. You can make use of this bottle for 5 descales as it has levels on the bottle.